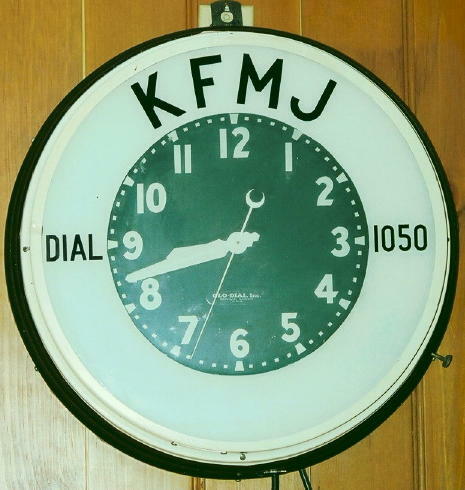 KFMJ signed on in 1946. The owner of the station was Fred Jones, also owner of several automobile dealerships in Oklahoma City and Tulsa. The call letters stand for Fred and Mary Jones (Mary was Mrs. Jones). See KFMJ's early programming on this 1947 Tulsa radio schedule. 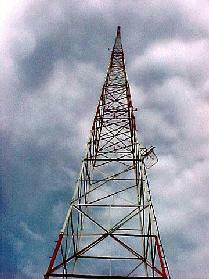 Although the transmitter was located at 5400 West Edison, the station's studio was located at 1242 South Boston. The building was on the northwest corner of 13th and Boston. The street sign above reads 13th and Boston. The Fred Jones Ford dealership was located across the street to the south. The radio station was located in the back half of the building (note entrance sign). The sign on the front door reads Hailand Clinic. The station format was local news, national programming and community programs. I think it was with the Mutual Radio Network. The studio moved to the transmitter site on West Edison in 1957. The format changed around that time to religious programs in the morning with the remainder of the day country music. 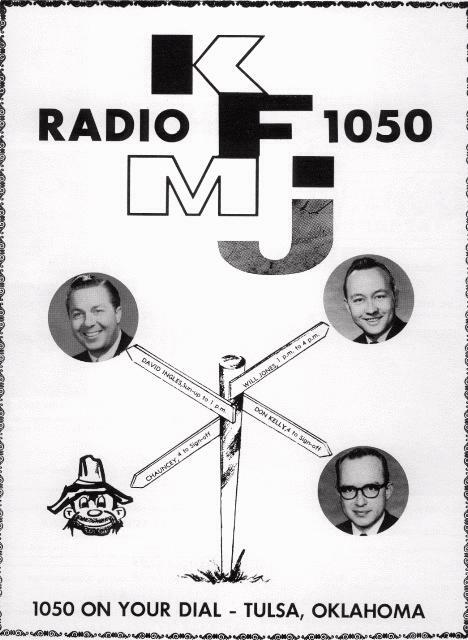 Billy Parker, Jay Jones and Will Jones, three KFMJ disc jockeys from the late 50s to the late 60s, became Tulsa radio legends. 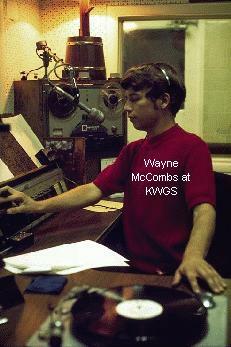 In the 70s and 80s, they made KVOO one of the top country music stations in the nation. 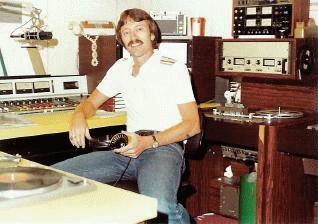 Another popular announcer was David Ingles, who now owns KYND and KDIM radio in Tulsa. 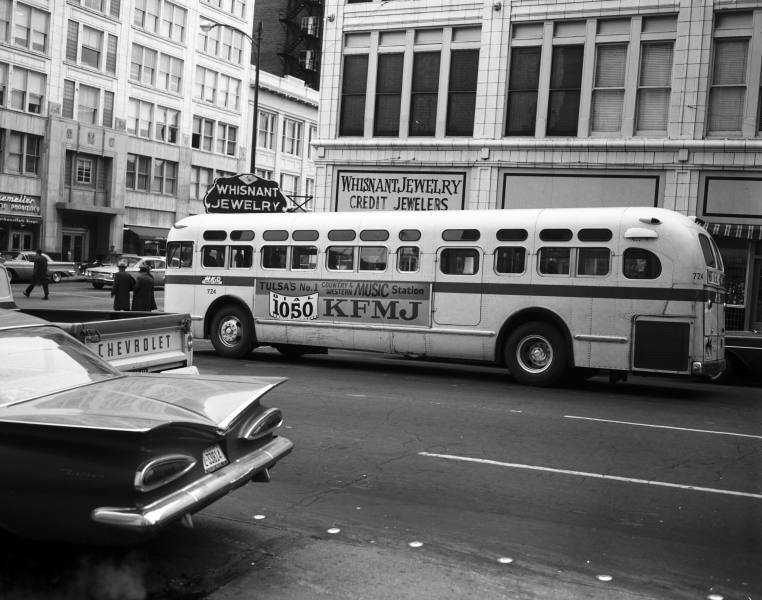 The station was sold in 1960 to Ralph Lynch, a radio station owner in Oklahoma City. 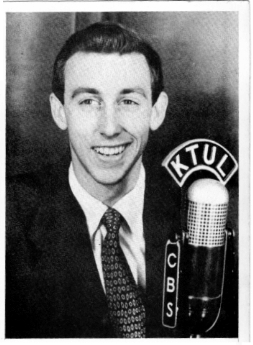 Lynch sold the station in 1963 to Oral Roberts. Roberts kept the station preaching/teaching in the morning and country the remainder of the day. Roberts also at one time also owned another radio station in Tulsa, KORU 103.3 FM, which today is KJSR, Star 103. 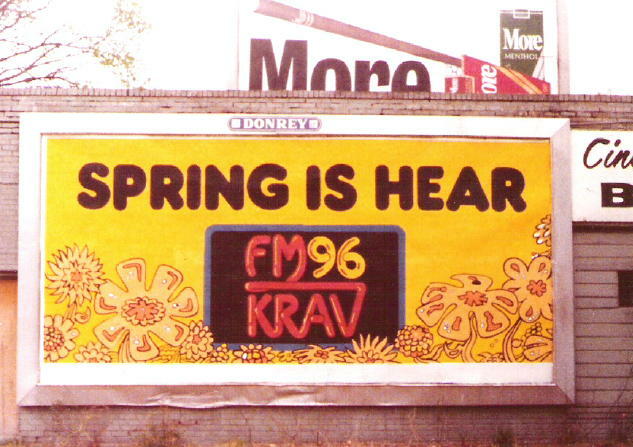 In April 1966, George Kravis, owner of KRAV-FM, purchased the station and kept the split format until 1969. KFMJ's format switched to all preaching/teaching, which it remained until about 1980, when the call letters were changed to KRAV-AM and the station simulcast the popular adult contemporary format from KRAV-FM 96.5. Carl C. Smith Park at 17120 E. 21st St in Tulsa is named for him. Around 1982-83, the call letters were changed to fit a new format, top 40 oldies, KGTO (Greater Tulsa's Oldies). By 1987, the station switched formats again to the "Music of Your Life", a format run by satellite. In 1996, Cox Radio purchased KRAV and KGTO from Mr. Kravis. Cox kept the call letters and the "Music of Your Life" format until it was sold in 2002 to Perry Broadcasting. Perry changed the format to Urban Oldies. It is a satellite-operated format. The old KFMJ studios at the transmitter site were torn down in 2001 by Cox Radio; Perry didn't want it since it was found to be asbestos-contaminated. Today KGTO is a box on the wall at 70th and Yale. 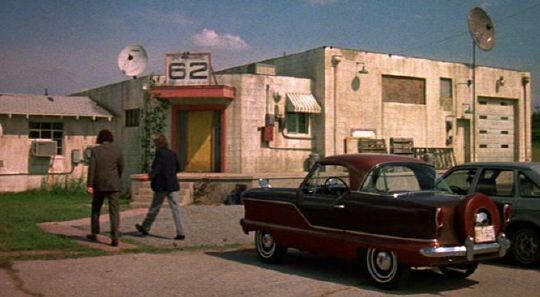 In 1988, KGTO's transmitter site doubled as "U-62", the fictional TV station in Weird Al's movie, "UHF". 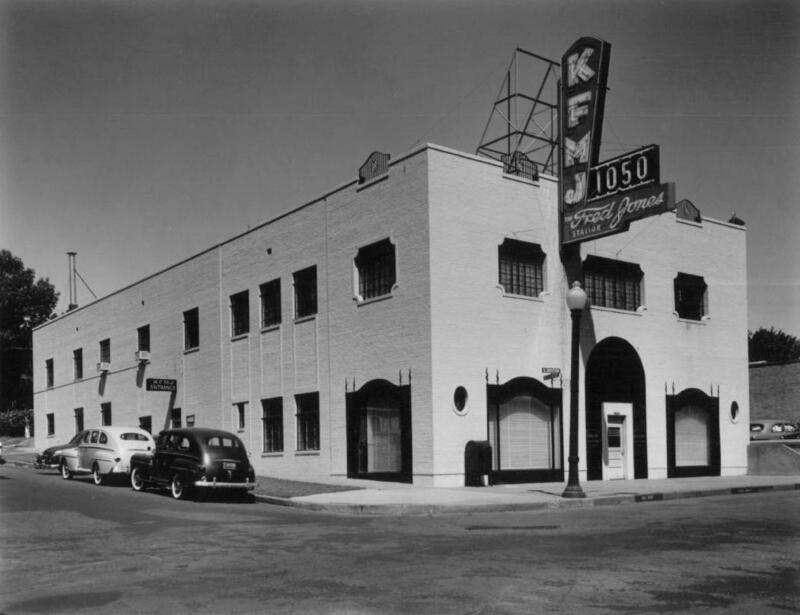 The site also served as KFMJ's studio from 1957-1975. 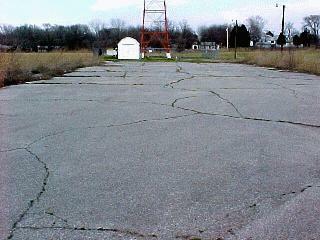 Emily Elliott took these photos at the transmitter site on 3/29/2002. There is no trace of the old building. The parking lot and tower are recognizable in "UHF". As of 2005, KGTO-AM 1050 operates on 1000 watts in the daytime, just as it has done since it started as KFMJ, and on a mere 22 watts at night. The current format is "Classic Soul of the 60s/70s/80s". KFMJ announcers: Jay Jones, Hillis Bell (Willy the Hillbilly). I doubt if anyone knows that sixteen of these men were also students at Tulsa University when they were working at these stations. My short stay at KFMJ provided me with $325 a month for which I worked a split shift, signing on as well as signing off. The stations could be mean-spirited about money for announcers. I knew that talent fees were sent for me to do network commercial cutaways for the Southwest branch of CBS, but management kept the money. The general manager of KFMJ demanded a 15% cut of any extra voice work done by announcers---that is, if he could find out about it. I am surprised that I haven't mentioned one of my favorite characters from KOTV memory. Especially since his sons were and are a part of Tulsa radio history. I speak of the one and only "Hillis Bell, Sr.!" One son was the program director or sales manager of KAKC and the other son I have known for eons is Dan Bell, super salesman for KRMG 740. There may even be a third son. Anyway, Hillis was a real character. He was an older man when he somehow wangled a job as a "booth announcer" with KOTV. He was not an announcer, but there he was! I do know that at one time he was one of the finest piano accompanists in the business and at one time was the accompanist for an operatic tenor of some repute, named "Gino Bentonelli!" Actually, his real name was George Benton and he was from Oklahoma City. In those days one did better by assuming a foreign name. It is my understanding that Hillis liked the grape as well as becoming a golf addict! Two combinations that proved his undoing. He told me that his fingers became too fat for him to play the piano well. I'm sure there are better informed people than I to tell his story. I just remember him as a wild man. Very funny and given to impromptu things like painting his shoes with gold paint! He wore those shoes forever. I think he then went into the "bar business." Anyway, here's to you Hillis, wherever you are. Hillis Bell, Jr. is now living in Larned, Kansas, where he owned a radio station for many years. He married Marilyn Caldwell from the Class of '51 at Central. Marilyn performed many times in the Central Opera Club, on "The Experimental Theater of the Air," on "KVOO Day," and in the Daze. What a wild, changing world radio has become. It was so stable and definitely local back in my time. I enjoyed reading the later history of the station. What a vividly sad comment on today's radio situation: "KFMJ is a black box on the wall..."
The only country music was "Willy the Hillbilly" during midday. Hillis Bell had that shift. He actually liked the music. Hillis died last year. There was no religious programming. Jay Jones had just left shortly before I got there in March, 1956. There was no locally generated or gathered news. It was strictly a rip-and-read operation from the AP. The last 30 minutes (maybe 60 minutes) of the day's programming was Hawaiian music. (General Manager) Lawson Taylor loved that. "Soothing," he would say. During the day, the "disk jockeys" could not comment on the music or performers. They could only give the title of the song and the name of the performer. But, during the Hawaiian music show, there was no announcing at all. The records were just played uninterruptedly. The station had to sign off at sundown. No low-power broadcasting in the evenings. (KAKC had to reduce power at night, but claimed that its signal went as far at that time as it did during the day.) When Sam Avey sold KAKC and the new management was trying to gain attention, the announcers would make a station break by saying "This is KAKC, the station that doesn't run down at sundown." I heard that a furious Lawson Taylor called the manager of KAKC to complain. Nathan Wilcox, my neighborhood friend, would take me to visit his dad, the engineer at KFMJ. We visited with Jay Jones and Ed Dumit who pretended to be Willy the Hillbilly. We decided to build our own radio station, (KLAD Keep Listening All Day,) and wired nearby homes. I guess thats where it all started. Went on to work for Lawson Taylor at KFMJ, played records and made dedications to virtually everybody in northeast Oklahoma as "Willie the Hillbilly." Eddie Lyons did the news at that time... Eddie was back briefly after a not very successful tour of Hollywood... he made $500 a month, almost unheard of in the late forties, and I made $300. Not too shabby, either. Then, one day Taylor called us in and cut those salaries in half. The next day I was on the road, and never did work in Tulsa again. KFMJ was the weirdest place I worked, mainly because of the general manager, Lawson Taylor. Except for the Willy the Hillbilly show, he insisted than no loud music be played. Even quiet music with a comparatively short, louder passage was proscribed. He monitored the station continuously. I was told by three employees that he had carried a portable radio on a fishing trip, heard a loud record, reeled in his line, rowed ashore, and called the announcer at the station long distance. He always said that each record should have a good tee-yune, drawing out the vowels. Taylor was a Christian Scientist, and staffed his station mostly with other adherents. During coffee breaks or company picnics, the conversation was always the same: How I was healed by Jesus. Only the nice, knowledgeable program director, whose last name was Franks, did not participate. I got married the week I was to start at KFMJ. Taylor insisted that I commence work the next day after the ceremony, i.e., sign on at 6 am the morning after my wedding night. I tried to explain to him the situation, but he was adamant. We finally compromised on starting work the following morning, giving me a one-day honeymoon. Taylor called me in one day, and told me that he wanted me to change my name to T. Frank Morrow. At first, I thought he was joking, but then I remembered that he had no sense of humor. I asked him why the T? He said that it would sound great as part of an introduction of a newscast which would be, Listen T. Frank Morrow. Now I was biting my tongue to keep from laughing. I told him that I had used Listen to Morrows news tonight at KTUL, but there wasnt the same double meaning or cleverness with T. Frank. I really wanted to say that the idea was stupid. I merely said that I wouldnt do it. I later told Mr. Franks, the program director, who roared with laughter. Taylor told me one day that he wanted me to start doing two or three news commentaries each morning. I asked him if he were hiring another announcer. He replied that he expected me to do it on top of my other duties. I argued that news commentaries required thought and research, followed by careful writing. I further explained that, with the time spent on spinning records and doing newscasts while running the control board, I didnt have the time. He said, That job isnt a man-killer. After I refused, he hired a rabid right-wing man from who-knows-where to give news commentaries. It only lasted a few weeks. I had heard that there were some complaints. Apparently, with the exposure of Senator Joe McCarthy a couple of years before, this brand of right-wing talk was going out of style with people who had the power to influence Taylor. But the wildest thing occurred about two weeks before I got there. Taylor had been reading a book on leadership and control of your workforce, emphasizing that the employees worked best with fear as the motivator. Run scared, was the watchword. Taylor lapped it up. He got a blank pistol, and ran up and down the hallways and in and out of rooms shooting the pistol and yelling, Run scared! Run scared! There were three employees including Franks who verified that this happened. When I went to work for him, he permitted me to sign on and sign off of the daytime-only station, thus allowing me to carry some classes at TU. He made a pledge that, when the semester was over I could have a continuous shift. He reneged on his promise, however, stating that the ratings were lower in the early and late hours, and that I might be able to bring them up. This provided me with a good excuse to leave the station. (Besides, KRMG beckoned.) I was at KFMJ only three or four months, but they were beneficial to my career---if I had been in the field of abnormal psychology. Before the Reagan deregulation of radio there were some semi-self-imposed limits on the amount of commercials. The semi part came from the pluses which the FCC considered in the amount of non-commercial airtime (sustaining) a station had when license renewal time came. Other favorable factors were public service announcements and news shows. Prior to deregulation, at least in the 50s when I was in broadcasting, commercials were limited: network station breaks were 30 seconds, newscasts usually only had one main commercial of no more than 60 seconds, even though many newscasts were of a fifteen minute duration; and double-spotting (two commercials in a row) was frowned upon, although it occasionally was done. If double spotting did occur, it was usually done with two 30-second commercials. The commercials between innings of baseball were for 60 seconds. Never was a commercial inserted during play. Guy Atchley started in radio at KFMJ. This 2 minute audio clip of some local preachin' was randomly recorded off one of the local AM stations, best guess in the late 70s, probably KFMJ. A TTM correspondent described it thusly: "Sounds like Pat 'Mr. Haney' Buttram talking through a frequency modulator with a mouth full of jello." I stayed in radio for as long as I could. But the jobs got few and far between. 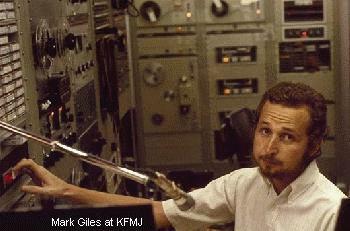 My longest stint was as the music director of KTMS-FM in Santa Barbara, CA. Spent 9 1/2 years programming the "Rock on the Coast." 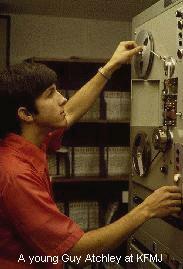 I worked as a radio and TV commercial writer/producer for several years. I love the Tulsa TV Memories site and spend way too much time enjoying the past...."
vintage clock on the wall of Cain's Ballroom. 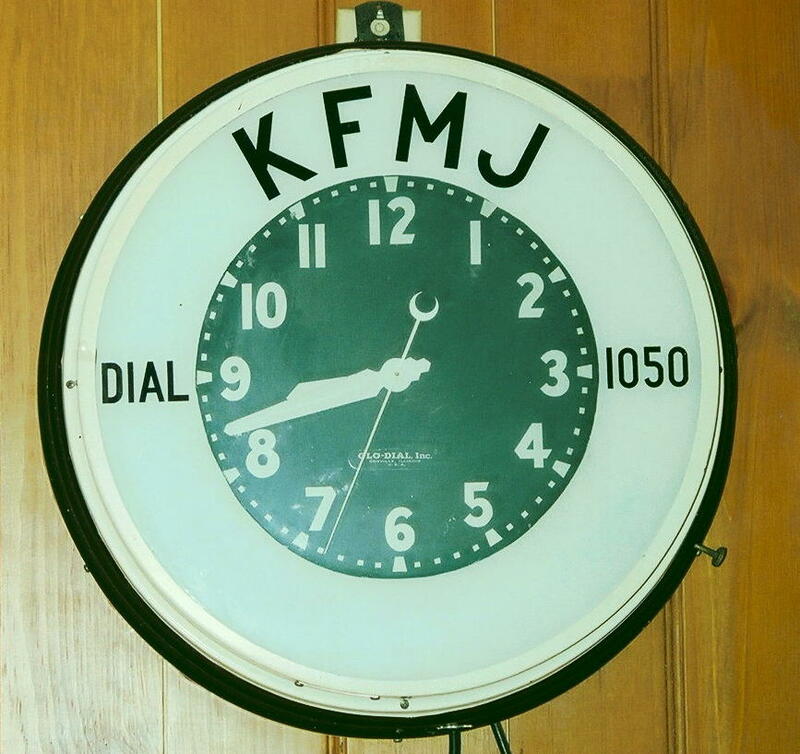 KFMJ Clock, courtesy of John K. Young, from Jan Dean Day (4/26/2007) at the Cain's.